Status: Deceased; Active 1985-1996. Born: 1957-08-05. Died: 2010-05-05. Birth Place: Tula. Graduated from Bauman Moscow Higher Technical School with an engineering degree, 1974 Civilian Engineer, Energia NPO. Cosmonaut training November 1985 - October 1986. First backup for Serebrov on Soyuz TM-5. Later backup assignment for Soyuz TM-13. Returned to work with RKK Energia. Family: Cosmonaut. Country: Russia. Agency: Korolev bureau. Bibliography: 4452. 1957 August 5 - . Birth of Andrei Yevgenyevich Zaitsev - . Nation: Russia. Related Persons: Zaitsev. 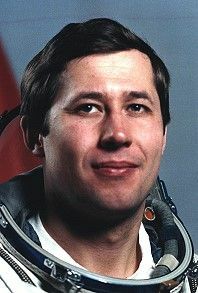 Russian engineer cosmonaut, 1985-1996..
1985 September 2 - . Energia Engineer Cosmonaut Training Group 8 selected. - . Nation: Russia. Related Persons: Krikalyov, Zaitsev. 2010 May 5 - . Death of Andrei Yevgenyevich Zaitsev - . Nation: Russia. Related Persons: Zaitsev. Russian engineer cosmonaut, 1985-1996..